The V&A has commissioned a major site-specific installation over five galleries by leading contemporary artists Michael Elmgreen and Ingar Dragset. Opening in October 2013, Tomorrow will transform the V&A’s former textile galleries into an apartment belonging to a fictional, elderly and disillusioned architect. 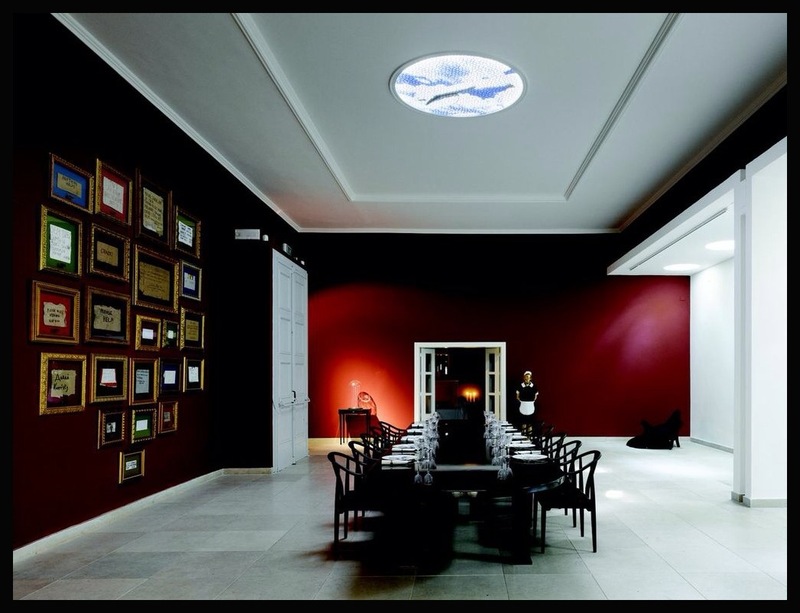 Elmgreen & Dragset’s exhibition Tomorrow will appear like a set for an unrealised film. To accompany it, the artists have written a script, which will be available to visitors as a printed book. The drama centres on a retired architect who had great vision but very little success in his professional life. In his twilight years, and with the family fortune long gone, he is forced to sell his inherited home and all his possessions. The script comments on issues of ageing, disappointment and alienation in today’s society. Within the domestic setting, visitors will act as uninvited guests, able to curl up in the architect’s bed, recline on his sofa, or rifle through books placed by the artists to hint at the imagined events that could have taken place here. Tomorrow will examine interests that have abided throughout the artists’ careers – those of redefining the way in which art is presented and experienced, issues around social models and how spaces and objects both inflict on and reflect our behavioural patterns. Such ideas are visible in many of the artist duo’s previous exhibitions, including The Welfare Show at Serpentine Gallery in 2006, The Collectors at the 53rd Venice Biennale in 2009 and The One and The Many at Museum Boijmans van Beuningen in Rotterdam in 2011.